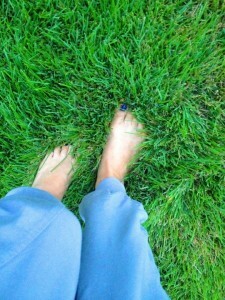 When was the last time you walked barefoot in the grass? Walking barefoot and having contact with the earth is called grounding. Having direct contact to the earth’s electric energy and negative ions gives you a sense of well being and has calming effects. Walking on the beach is grounding, too. Negative ions from the earth will not pass through surfaces like pavement, so whenever you have the opportunity to walk on the beach, dirt or untreated grass, do it! What is most profound about Earthing is that it is so natural and simple, and it affects every aspect of human physiology. When you ground yourself, your entire body readjusts to a new level of functioning, the level, in fact, seems to have been designed for throughout evolution. Many people who have practiced earthing for several years say that they do not want to go back to living ungrounded. They feel the difference. Living earthed broadly elevates your quality of life. 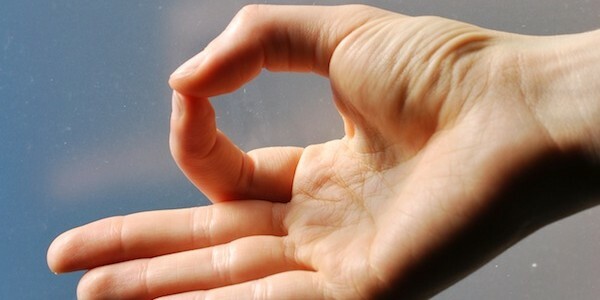 James Oschman, Ph.D., an internationally-renowned expert on energy medicine and a member of our board of advisors, describes the phenomenon: “Recently I attended a meeting on the East coast. One of my colleagues came in from the West coast. She had a bad case of jet lag. I told her to take her shoes and socks off and step outside on the grass for 15 minutes. When she came back in, she was completely transformed. Her jet lag was gone. That is how fast Earthing works. Anyone can try this. If you don’t feel well, for whatever reason, just make barefoot contact with the Earth for a few minutes and see what happens. Of course, if you have a medical problem, you should see a doctor. There is nothing that comes close to Earthing for quick relief. You can literally feel pain draining from your body the instant you touch the Earth.” to read this article online, check the sources beneath this article. Athletes in Tour de France use earthing technology for quick muscle recovery. Watch the video. Going barefoot also stretches your muscles and ligaments. “A high proportion of the world’s population walks barefoot most of the time, and the average person who walks barefoot has much healthier feet than the average person who wears shoes,” says Dr. Paul W. Brand, Chief of the Rehabilitation Branch of the U.S. Public Health Service Hospital in Carville, La. and Professor of Surgery a Louisiana State University Medical School. He spent 18 years treating orthopedic problems at an orthopedic clinic in India, United Kingdom and Ethiopia. Based on these experiences, Dr. Brand suggests that Americans should walk barefoot for at least part of each day. Foot problems that are common from wearing poorly designed or improperly fitted shoes are bunions, corns, hammer toes, ingrown toenails, and athlete’s foot. These problems are not found in countries where most people go barefoot. In India, he saw no ankle fractures except those who wore shoes.